SVoD services that take global rights and prevent future income for programming “will kill our industry,” Amazon Studios’ European chief has claimed. 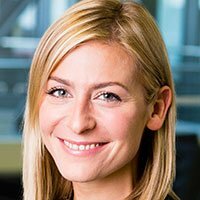 Speaking at the Royal Television Society’s London conference earlier this week, Georgia Brown, director of European originals at Amazon Studios, made the comments in response to a question from moderator and TV presenter Kirsty Wark who suggested SVoD services are looking to hoard all IP for themselves rather than cut deals. “My background is very much in the business of funding shows for indies and helping them get that funding together. The idea of warehousing rights, sitting on rights and owning these things globally, so people can’t make money in the future is mad, that will kill our industry,” Brown said. She cited the example of six-part comedy Good Omens, a collaboration with Amazon and the BBC. The series, an adaptation of Neil Gaiman and Terry Pratchett’s novel, will go on Amazon as a global original before moving to the BBC. Brown said the BBC’s distribution arm BBC Studios would then “take those rights after we’ve finished, and can continue to sell them.” Her comments echo those of BBC drama chief Piers Wenger who told C21’s Content London last year that SVoD and broadcaster copros would continue despite numerous claims in the industry to the contrary. Brown was speaking as news broke that Netflix had taken global rights to BBC hit drama Bodyguard in a deal with UK distributor ITV Studios Global Entertainment. 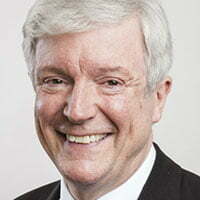 Earlier on in the RTS conference BBC director general Tony Hall gave an impassioned address calling for more public funding for his organisation in light of his belief that Netflix and Amazon were not “making up the difference” in investing in the new UK content. Hall cited data suggesting less than 10% of Netflix and Amazon’s catalogues comprise content produced in the UK.